I think of the M800 Blue o' Blue Special Edition as coming out of an era of quite modest designs from Pelikan. It is over-shadowed by later more vibrant designs like the aptly named Vibrant Blue and Ocean Swirl. This old (two chicks) M800 Medium nib entered my collection with the M815 Wall Street Limited Edition. 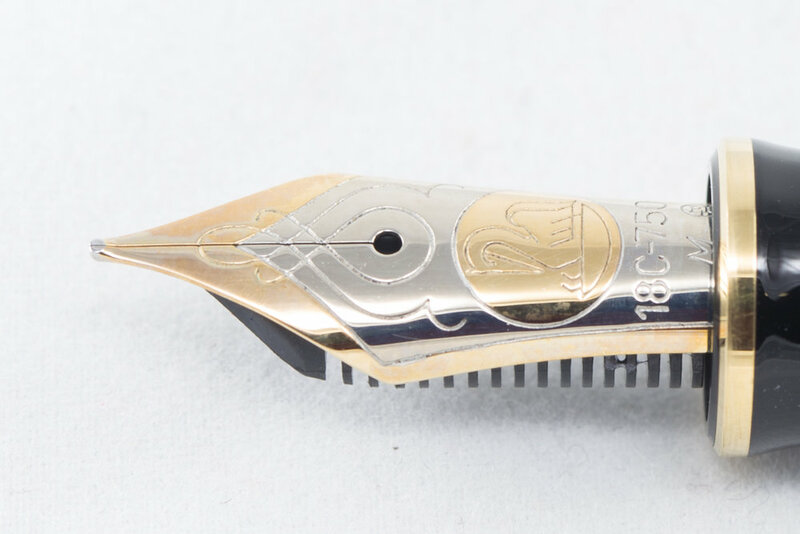 It writes with a slightly finer line than a modern medium nib and is very smooth. I have wondered in the past whether a previous owner had some work done to this nib. Diamine Schubert is from the Music set of ten inks. It is described as being a sea-blue colour, but I think it as being more of a blue-black in the mould of Waterman's Blue-Black. It does exhibit some subtle shading, but I cannot see any sheen at all.